My old phone dialer keypad app is a brilliant phone dialer for android users. 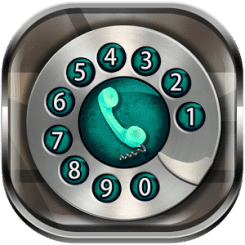 Enjoy old rotary dialer, phone dialer number keyboard and 3D contacts list in a single old dialer phone app. 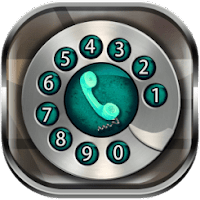 This retro phone dialer have four attractive dialer themes free. Use black phone dialer in dialer theme black. Metal style, classic wooden style, blue themes for old phone rotary dialer and phone dialer number pad. - You can choose search contacts, add contact and send SMS option from menu.